Here is a little news about a new project for Amber Heard in the upcoming Robert Rodriguez‘s movie called ‘Machete Kills‘. Read an article from bestmoviesevernews.com below!!  You can know more about the cast and Amber’s character. It seems like it’s been forever since Robert Rodriguez had a film out, but his latest ‘Machete Kills‘ starts filming later this month in Austin, and he’s added more women to his grindhouse mix. ‘Modern Family’s’ Sofia Vergara and Amber Heard have just been brought on this week. Danny Trejo returns as Machete along with Michelle Rodriguez and Jessica Alba. Whoever was able to stay alive from the last film will probably also be back in some form, but Mel Gibson is the bad guy this time around, so audiences will be rooting for his gruesome movie death. He gets to play the cunning arms dealer, Luther Voz. Rodriguez produced, co-wrote and co-directed the first ‘Machete’ movie, but he’ll be directing ‘Machete Kills’ alone this time around from the Kyle Ward script. With him on a film role, could the ‘Sin City‘ sequel be made into a reality soon? Vergara was smart casting as her show is popular, and Rodriguez was kind to give Heard another movie as her last few (The Ward, Rum Diary, Drive Angry) have been pretty lackluster at the box office. This should shine her up a little as she gets to play a manipulative assassin code-named Miss San Antonio. 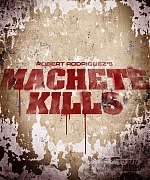 The full description for the sequel is ‘Machete Kills finds the titular ex-federale recruited by the U.S. government to stop a terrorist named Mendez the Madman, who happens to be Mexico’s leading cartel dealer.’ Expect the sequel to hit theaters 2013, and we’ll see if Alex Jones can incite more stories about ‘riots’ coming with the sequel so Matt Drudge can pick it up on his site hoping to get some race wars stories exploding. Failed pretty big last time so we’ll see.